In 1961, President John F. Kennedy promised to put a man on the Moon "before this decade is out". He didn't live to see it, but it did happen. In the last half of the 20th century, the United States became the most technologically advanced nation in the world. The strength of the US Army today owes a lot to the technological and scientific advances that were made in weaponry and defence systems. President Eisenhower warned in 1961 of a military-industrial complex developing. His warning became a reality, but what does that mean for the US? One of the most remarkable technological achievements the US ever accomplished was to successfully send a man to the Moon in 1969. The Case Study on the Apollo 11 mission will show you how that was accomplished. You're either reading this on a laptop or a smartphone. You have US technological development to thank for that too. The work of Bill Gates and Microsoft, and Steve Jobs and Apple revolutionised Information Technology since the 1970s. What caused the advances in military technology in the post-war years? How did military spending create a permanent war economy? Nuclear Weapons: Why did the US want to develop its nuclear weaponry after the war? When was the hydrogen bomb developed? How did the USSR respond? Rockets: How did US rocket development benefit from the end of the war? What new rockets and missiles were developed? What was the advantage of ICBMs over other rockets? What warning systems were developed to guard against enemy rockets? Air War: How did airplanes and helicopters develop? What as the significance of aircraft carriers? Land War: How did tanks develop? What new technology did soldiers receive to guard against new threats? How did the Space Race encourage the development of space technology in the US? What were NASA's early actions? What were the Mercury and Gemini Projects? Man on the Moon (see Case Study): What was the purpose of missions to the Moon in the 1970s? Space Stations and Shuttles: What was the Skylab programme? How did the space shuttle programme develop? How was it impacted in the 1980s? What would President Reagan's "Star Wars" programme have meant for space technology? How were the first computers developed? What difference did the invention of the transistor make? When were the first personal computers made? 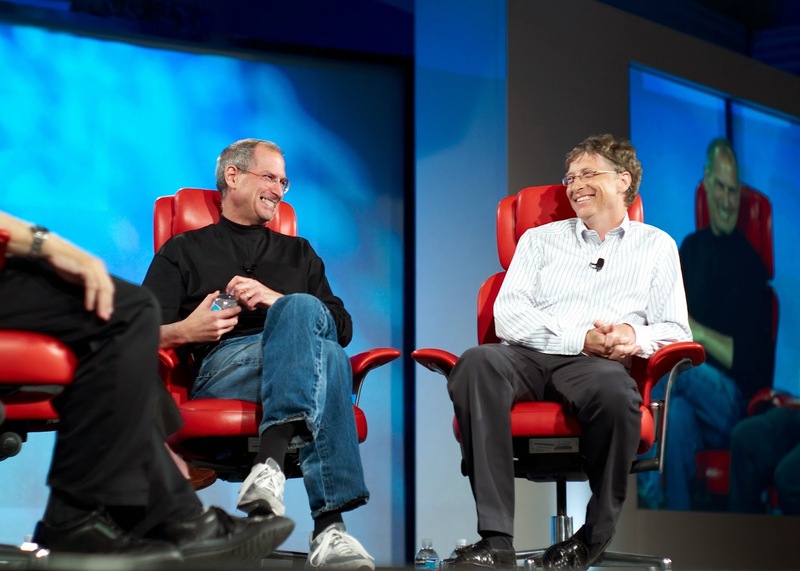 What roles did Steve Jobs, Bill Gates and IBM play in the development of PCs? How did the computer industry develop? How have multinationals like Apple and Microsoft changed the industry? How was the Internet developed? Steve Jobs and Bill Gates, the two men who made personal computers what they are today. Do you use Windows? Do you have an iPod, iPad or iPhone? 2016: What was the significance of the moon landing (1969) and/or Star Wars? 2015: During the period 1945-1989, what advances were made by the Americans in military, space and information technology? 2014: How did the Americans achieve a successful moon landing in 1969 and what was its importance for the US? 2011: Why did the US lose the Vietnam War and/or what was the significance of the Moon landing? 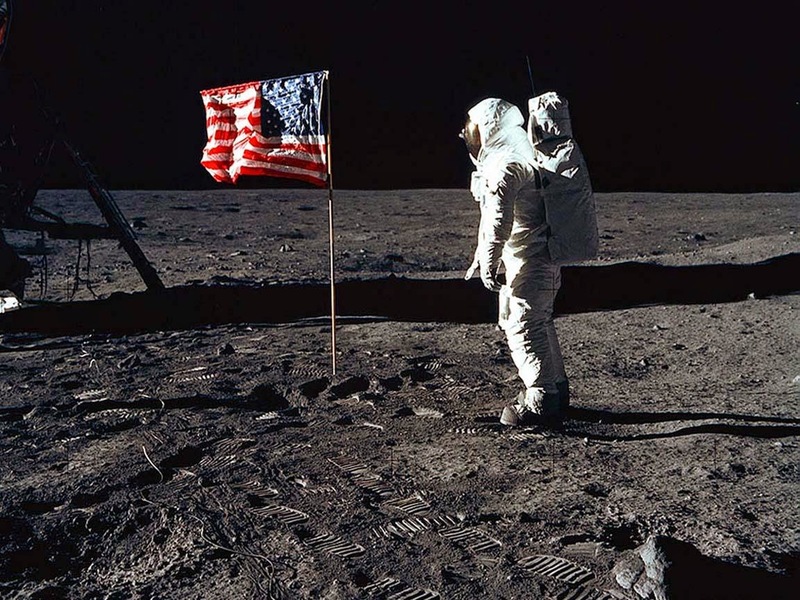 2010: What was the impact of the Moon landing on US domestic and foreign affairs? 2006: What was the importance of one or more of the following: McCarthyism; the Moon Landing, 1969; developments in information technology? 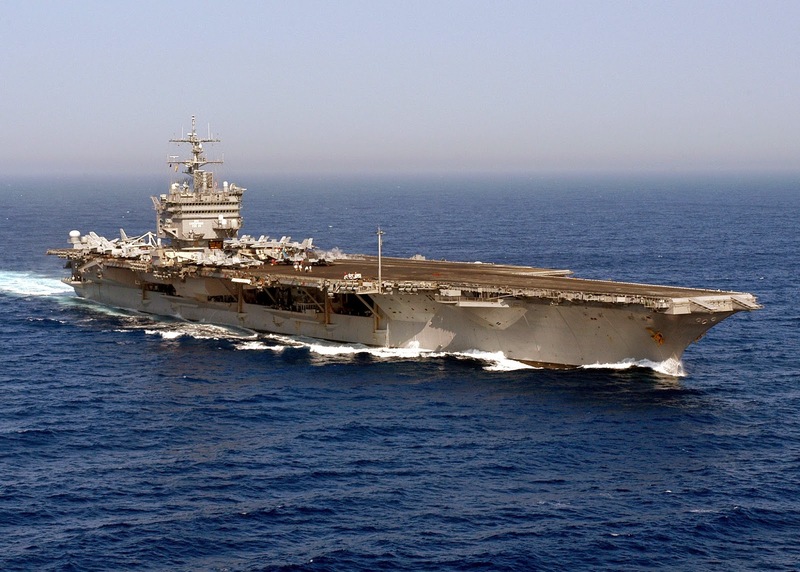 The nuclear naval carrier USS Enterprise. Original text by Jason Kelleher. Images are public domain, unless otherwise credited. Picture Window theme. Powered by Blogger.